Most human beings experience stress during our lifetimes – perhaps from sitting a tough exam, being involved in an accident, or after being fired from a job. There is no shortage of warnings about what stress can do to our health and well-being, and there exists a plethora of advice on how to ‘reduce’ stress levels. But is the stress response really that bad? What is the purpose of it? And at what point does stress become damaging to our body? Stress is the result of an individual facing a challenging situation which demands more than they are capable of giving1. That is, the individual feels that the required resources are not present to survive or overcome the source of stress. Much of this process is mental; however, when stress occurs, the body undergoes a physiological response – this is where the benefits and drawbacks of stress can be quantified. Traffic jams are a source of stress for many people. The human body works hard to maintain balance (or homeostasis) in the face of challenges – this is a natural part of the stress response. This system can work without conscious awareness, but often exhibits itself in shaky hands, excessive sweating, wobbly knees, a feeling of butterflies in the stomach and a racing heart. These responses are a manifestation of what is going on beneath the surface. When an area of the brain called the hypothalamus identifies a stressor, it releases corticotropin-releasing hormone (CRH), which in turn activates the pituitary gland and causes adrenocorticotropic hormone (ACTH) to be released into the bloodstream. This hormone travels to the adrenal cortex and releases cortisol, which in turn triggers other hormones such as adrenaline and noradrenaline to circulate the body2. When faced with life-threatening and acute stressors, such as a car accident or physical assault, the stress response is highly adaptive. When your knees are wobbling, heart pounding and breathing quickened, it is easy to feel like you are not in control. However, these are all indications of the ‘fight’ or ‘flight’ response whereby the body is fully resourced to deal with the challenge being faced. Short term stress can kick-start your body into ‘fight’ or ‘flight’ mode – which is not necessarily a bad thing! Spikes in hormones such as cortisol and adrenaline, which lead to this state, are helpful as they shut down unnecessary functions like those involved in growth, reproduction and digestion3,4. Furthermore, these hormonal fluctuations aid detoxification which rids the body of damaging toxins; the presence of these toxins could lead to hormonal dysregulation and the development of inflammatory and metabolic diseases. Research has found that cortisol can enhance immunity which, in a life or death situation, is particularly helpful as the body prepares for damage or injury and thus its resources to fight infection are increased5. Although the stress response is primarily an adaptive physiological mechanism, a body undergoing repeated (chronic) stress, such as enduring the difficulties of caregiving or experiencing sustained bullying at work, tells a very different story6. When the stress response is repetitively over-activated, it can become damaging. Allostasis is the body’s ability to return to a state of balance; it becomes hindered when the stress response is repeatedly activated, leading to allostatic load. This leads to cumulative damage and general ‘wear and tear’ on the body as the levels of cortisol are unable to return to baseline7. Although we learned that cortisol can enhance immunity during short-term stress, consistently raised cortisol levels have the opposite effect and can lead to dysregulation of the immune system, which can then lead to poor health7,8. An example of this was found in a 2009 study in which parental caregivers of children with developmental disabilities mounted a poorer antibody response to vaccination compared to responses from control subjects9. As mentioned above, the stress response shuts down functions such as growth, digestion and reproduction in order to focus its resources on life-saving mechanisms. In the long term, the prolonged suppression of these systems can lead to poor physical and mental development, mood disorders, lower fertility and digestive issues such as irritable bowel syndrome10. Long term stress suppresses important bodily functions which can lead to poor physical and mental health. Although the stress response can initially promote the function of the immune system, over time it can have inhibitory effects10. Many people hold the general concept that when we are stressed, our vulnerability to germs and disease is increased; this is supported by psychobiological evidence which shows that chronic stress is associated with increased susceptibility to the cold, flu, and herpes viruses and chickenpox11. 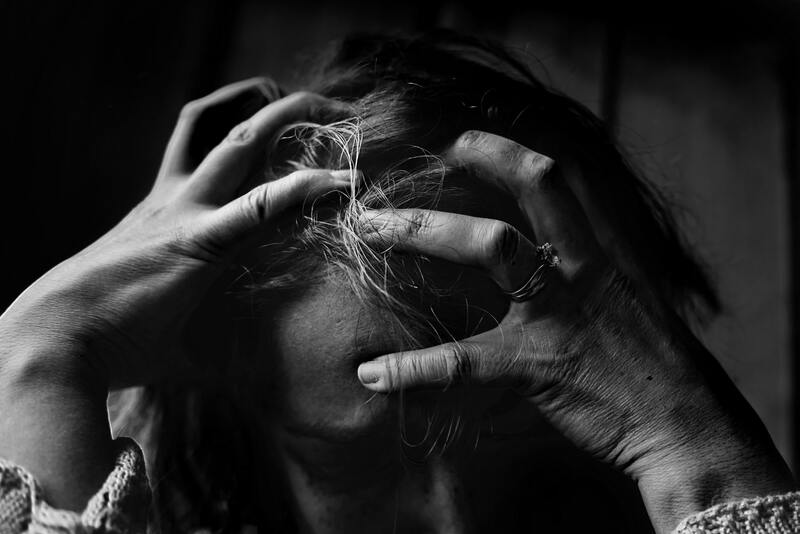 Furthermore, psychobiological stress has been linked to the development of autoimmune diseases due to its dysregulation of the immune system12. The types, intensity and duration of stress determine whether it falls into the ‘friend’ or ‘foe’ category. In times of short-term, high intensity and genuinely life-threatening situations, the stress response is highly beneficial, arming your body with the resources it needs. However, over-activation of the stress response is maladaptive, disrupting the function of the immune system and contributing to poor health. It would be wise to observe stress in our lives and be aware of when acute stress may become chronic in order to avoid stress becoming a ‘foe’ to our bodies. This article was written by Tamsyn Hawken via Write For Us. Conrad, C. D. (2011). The Handbook of Stress: Neuropsychological Effects on the Brain (Vol. 9). Chicester, UK: John Wiley & Sons. Chrousos, G. P. (2002). Organization and integration of the endocrine system. In Sperling, M. A. (Ed. ), Pediatric Endocrinology (pp.1-14). Philadelphia: Saunders. Chrousos, G. P. (1997). The neuroendocrinology of stress: Its relation to the hormonal milieu, growth and development. Growth Genetics and Hormones, 13, 1-8. Dhabhar, F. S. (2009). Enhancing versus suppressive effects of stress on immune function: implications for immunoprotection and immunopathology. Neuroimmunomodulation, 16(5), 300-317. Dhabhar, F. S. (2013). Psychological stress and immunoprotection versus immunopathology in the skin. Clinics in Dermatology, 31(1), 18-30. McEwen, B. S. (1998). Stress, adaptation, and disease: Allostasis and allostatic load. Annals of the New York Academy of Sciences, 840(1), 33-44. Slatcher, R. B., Chi, P., Li, X., Zhao, J., Zhao, G., Ren, X., . . . Stanton, B. (2015). Associations Between Coping and Diurnal Cortisol Among Children Affected by Parental HIV/AIDS. Health Psychology, 34(8), 802-810. Gallagher, S., Phillips, A. C., Drayson, M. T., & Carroll, D. (2009). Parental caregivers of children with developmental disabilities mount a poor antibody response to pneumococcal vaccination. Brain, Behavior, and Immunity, 23(3), 338-346. Charmandari, E., Tsigos, C., & Chrousos, G. P. (2005). Endocrinology of the stress response. Annual Review of Physiology, 67, 259-284. Cohen, S., & Herbert, T. B. (1996). Health psychology: Psychological factors and physical disease from the perspective of human psychoneuroimmunology. Annual Review of Psychology, 47(1), 113-142. Stojanovich, L., & Marisavljevich, D. (2008). Stress as a trigger of autoimmune disease. Autoimmunity Reviews, 7(3), 209-213.